This machine is a 1964 "transitional" model in really nice condition. It has the earlier style motor with the grease ports which is an advantage for the avid user. The foot controller is the later style clamshell unit, which many feel is much easier to use than the earlier button style found on most of the EV series machines. It has the original Singer case in good condition. 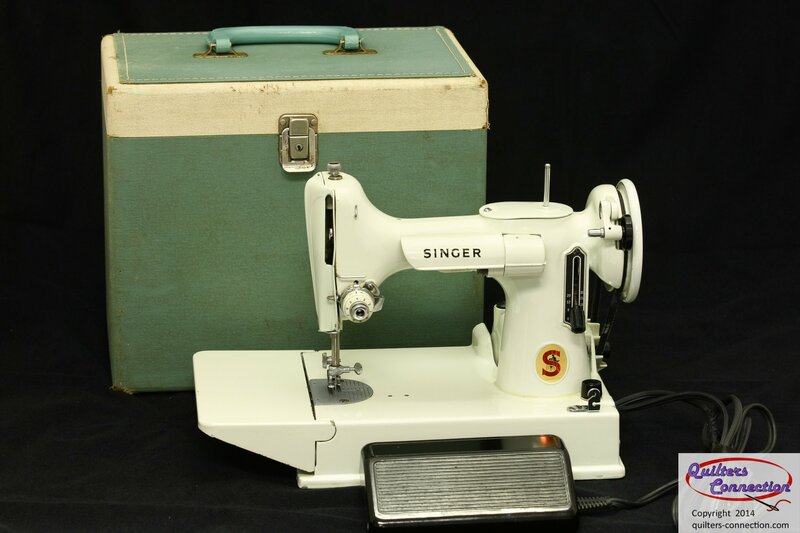 Included with the machine are the original Singer bobbin case and 5 bobbins.